It’s dinner time. You’re feeling that burger buzz. But fast food isn’t high on your agenda. You want a high quality burger served in a clean, pleasant and welcoming atmosphere. It could be a veggie burger, a turkey burger or maybe even a bison burger. So where do you go? 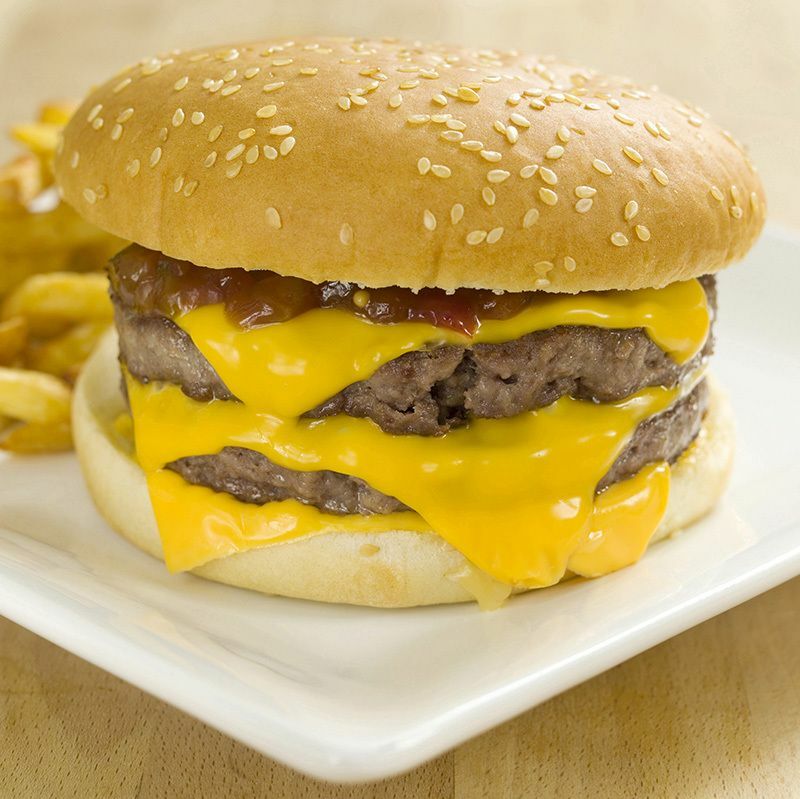 Well, you’re in luck; because Boca Raton is packed with plenty of great places to find a top quality burger. Here’s are 5 of the best places for burgers in Boca. Let’s start with the Granddaddy of them all, The Boca Burger House, currently owner and managed by father and son team, Bill and Alex. BBH’s great food and even better service have been a staple of the community since 1969. The specialty of the house is the half-pound brisket burger, which will satisfy even the biggest appetite. If you don’t feel like going out, the Boca Burger House also delivers. The Boca Burger House has two locations in Boca Raton. There’s the original restaurant at 499 NE Spanish River Blvd. between Federal Highway and Dixie Highway and the newer location in central Boca at 78 S. Federal Hwy, just south of Palmetto Park Rd. The delivery hotline is 561-900-5030. You can find the menu online at bocaburgerhouse.com. If you like infinite variety in your burgers, Lindburgers restaurant is definitely the place to go. The menu offers more than fifty different gourmet burgers, including a veggie burger, Portobello burger, turkey burger and even a lobster burger. Located at 9834 Glades Road in Boca, Lindburgers, which has been around for more than thirty years, offers a cool, nostalgic, aviation themed atmosphere. By the way, for those of you looking for a burger that’s more of a challenge, try the Dagwood or the Super Topper. You’ll probably have to eat them with a knife and fork. And lots of napkins. You can find the full menu online at lindburgers.com. Many of you have seen M.E.A.T. on the hit television show Diners Drive-Ins and Dives. And now you can see it up close and personal. Because M.E.A.T. eatery has opened right here in Boca Raton. Located at 980 North Federal Highway, M.E.A.T has a very laid back casual atmosphere but the food is amazing. That’s not just my opinion because M.E.A.T. won the 4th annual Boca Burger Battle. In addition, the house specialty, the Inside-Out Juicy Lucy burger, was judged Best Burger in Florida by TripAdvisor. You owe it to your taste buds to try it. And don’t even think of leaving until you’ve tried the Duck Fat French Fry Basket. If you’re looking for a real gourmet burger in a cool, contemporary atmosphere, Zinburger is the perfect place. The Kobe burger with Vermont cheddar and wild mushrooms is a must, as is the Zinburger with manchego cheese and zinfandel braised onions. Zinburger also features a special burger of the week, as well as a shake of the month, and a pie of the month. They also have 21 wines-by-the-glass and a nice selection of local craft beers. Tucker Duke’s, which won the Peoples Choice award for Best Burger in Boca, is well known for their Insane Tucker Duke’s Burger with Onion rings. This meal is more like a meat mountain than a hamburger. The special Tucker sauce adds just the right touch. Tucker Duke’s tries to use local, seasonal, sustainable food sources whenever possible. You’ll find the menu online at tuckerdukes.com, and you’ll find Tucker Duke’s Lunchbox at 1658 N Federal Highway in Boca Raton. These are just a few of my favorite Boca burger places. I hope you’ll go out and give them a try. I know you won’t be disappointed. Please let me know what you think. Want to set up a custom home search that gets listings sent to your email? Call, text or email me with what you are looking for.